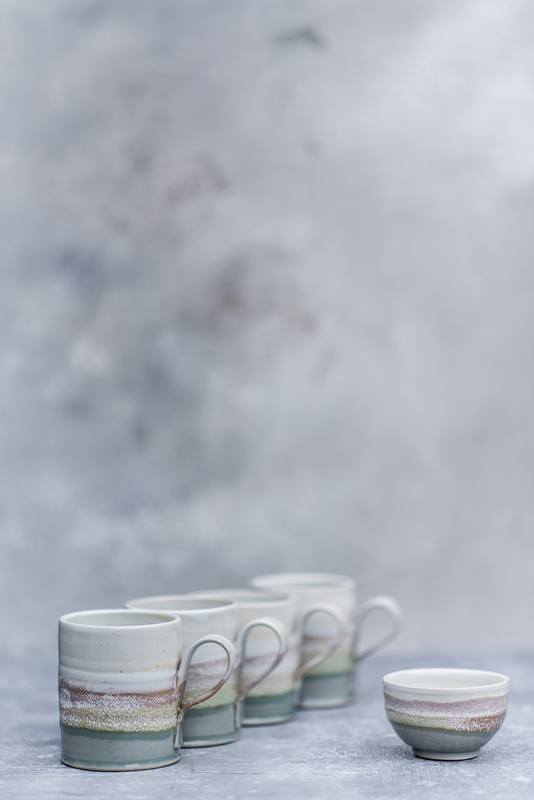 Hand thrown mugs in stoneware. Reduction fired. Multiple glazes layered to echo local land and seascapes. I make many, many mugs as they are my best seller. This would be my standard size, but I also make tiny espresso sizes, up to extra large size. Hand thrown beakers in Stoneware. Reduction fired. 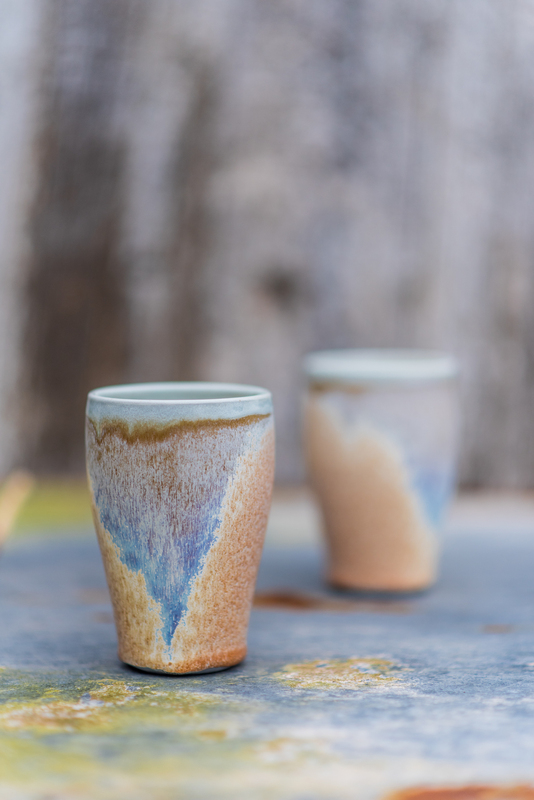 These beakers were layered with 3 different glazes and placed in the hottest part of the kiln. The lilac colours were achieved due to the glaze being exposed to the intense heat in the flame path. 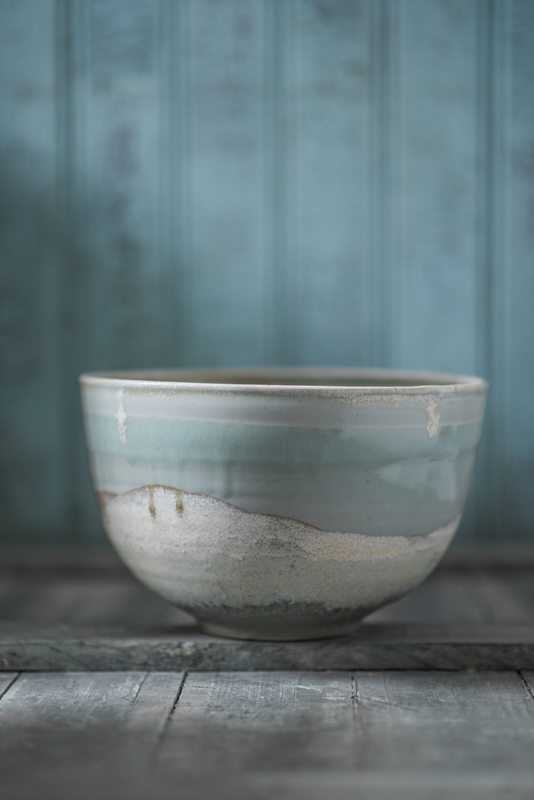 Hand thrown dish in stoneware. Reduction fired. This piece was glazed with 4 different glazes, layered thickly in the middle section to echo the tide coming in. It was purchased by two friends who will share it and take it in turns to have it in their homes. 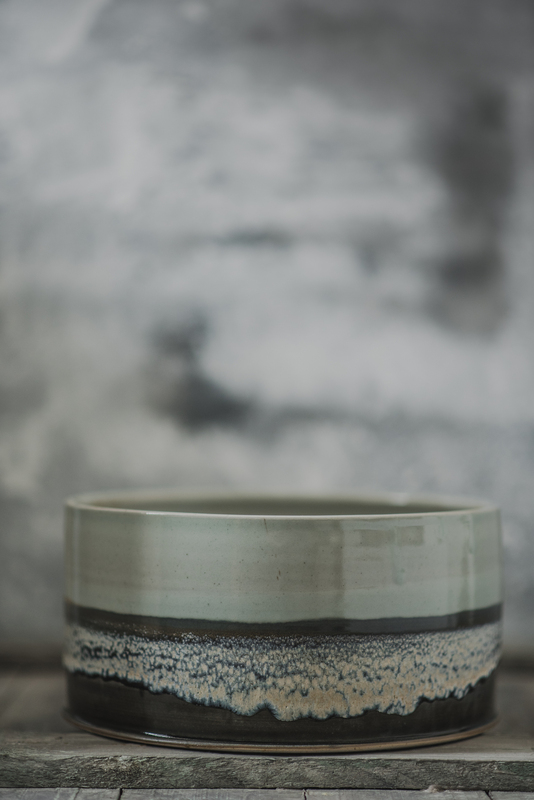 Hand thrown in stoneware. Reduction Fired. In this piece I was experimenting with lighter colours to evoke a winter landscape. Form and functionality are important when making jugs. 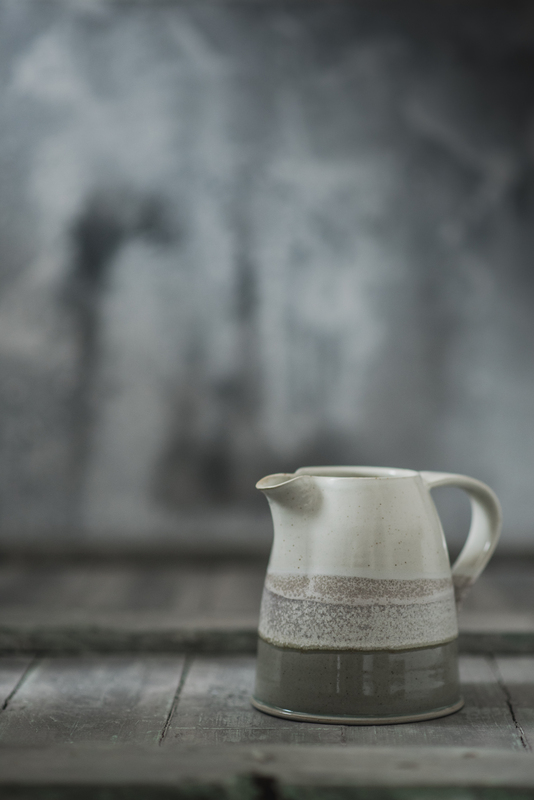 In this piece I was particularly pleased with the shape and the spout and handle work well together.